Karate is a great way to improve physical fitness and stamina. Its many payoffs include a lot of health improvement. This article from Health Fitness Revolution mentions 10 martial arts health benefits. Half of their 10 benefits relate to physical fitness and stamina. Those are: total body workout, improved cardiovascular health, weight loss, improved reflexes and muscle tone. At our dojo we have many regular training activities which improve fitness. 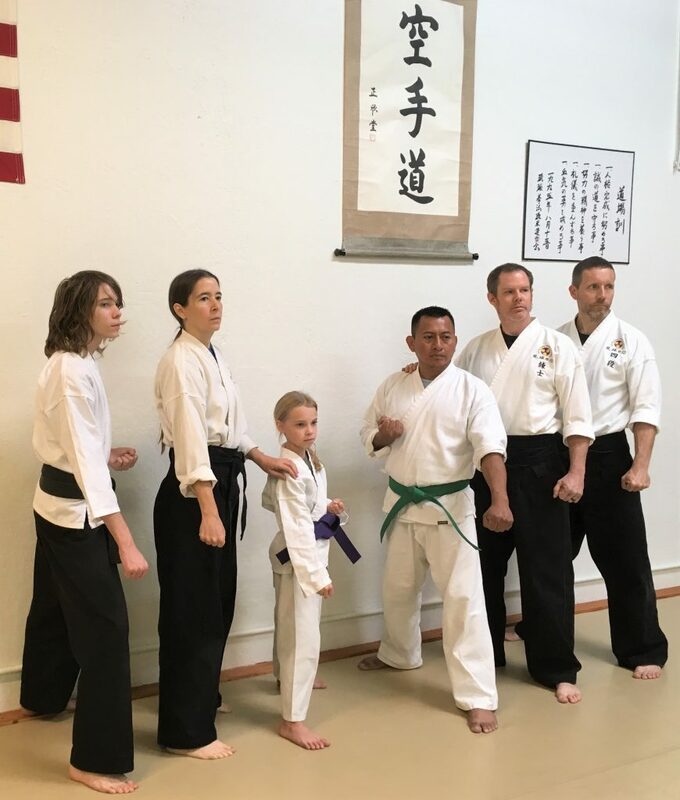 We start most of our classes with a traditional Japanese warm-up. When Gauger Renshi was a certified personal fitness trainer he said that our traditional warm-up is a great one. It starts with jumping jacks. For beginning beginners they may be difficult. But those same people quickly see their stamina improve. They soon keep up with no problem. This exercise conditions the martial artist’s body. Then they can suddenly move quickly as needed for life protection, or to run. In my experience and in talking with other teachers of the Okinawan arts, sparring is accepted as the best aerobic activity. Particularly in traditional training. 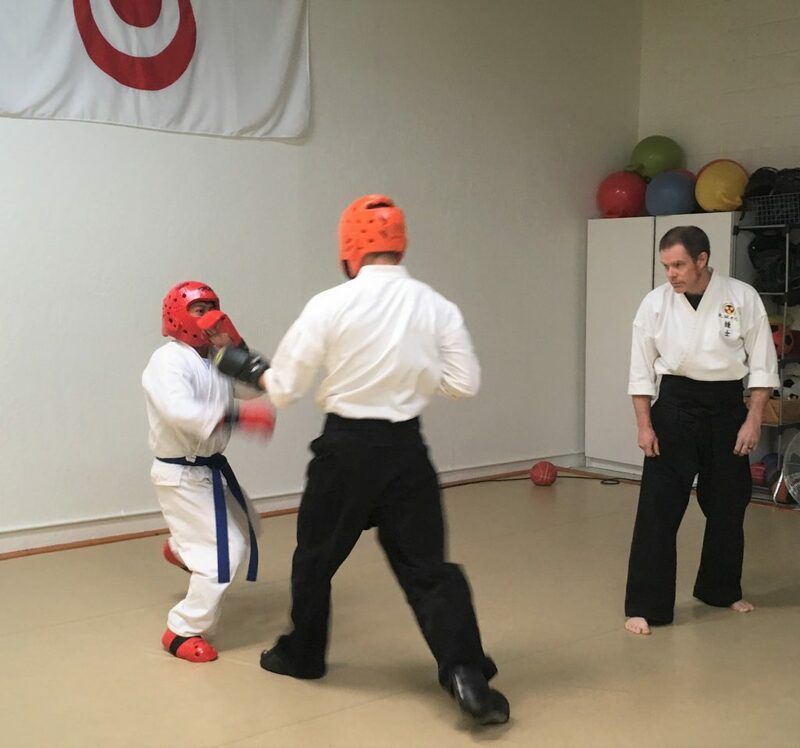 There are many types of sparring in different traditional schools. But they all provide a great aerobic activity that improves physical fitness and stamina. Some antique training tools include different weights, even rocks. Some modern ones include stretchy bands and machines. But all you really need is gravity and your body in order to do resistance training. Some of our regular calisthenics include push-ups, crunches, leg lifts, and squats. These exercises build muscle and strengthen bone for better physical fitness for life. Rank encourages the traditional martial artist to improve their physical fitness. Our higher ranks continually look at our karate performance. And they expect us to do well and improve. On the other hand, the higher our rank, the more people we have looking up to us. We want to set the best example we can for our many kohai, or lower ranks. So we must do our very best and continue improving our physical fitness. We expect our students to attend an average of at least two classes per week. Anything less than that and their physical training suffers greatly. (Not to mention their retention of the skills learned.) Regular training is an essential part of the karate. There is a noticeable difference in students who attend an average of more classes. With traditional karate, as with most things in life, the more time, effort and positive energy you invest, the more you benefit. This is true for the physical fitness and stamina gained at the dojo.